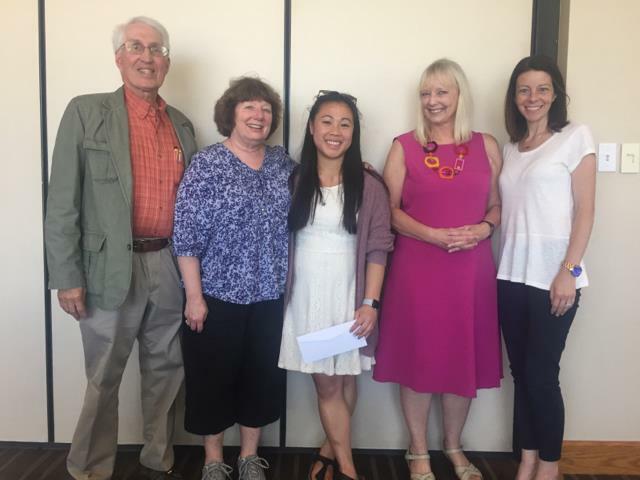 Last Thursday, the annual Gene Case Scholarship was awarded to Samantha Callaway of Taconic High School. The ceremony was lead by Gwen Davis, chair of the Gene Case Scholarship committee, and Marshall Raser, who shared his memories of Mr. Case and his contributions to Pittsfield Rotary. In the spirit of the service-oriented nature of the award, Samantha gives back to the community while being a highly accomplished student and athlete, We congratulate Samantha on receiving the honor and wish her all the best in future endeavors.